It is indeed wonderful to see my brother Hamis Juma leading and bringing many to the knowledge of Christ JESUS after being well discipled himself. This takes the hand of GOD because Hamis was disowned by his family for following JESUS. This is extremely difficult to take for many of us, but by God's grace Hamis is now leading so many to the LORD. In the pictures, he has led these youths to knowing Jesus and doing Bible Way Correspondence School. Please pray for Juma as He keeps sharing the story that changed his life even amid so many pressures and hate from the Muslim community led by his own family members that cannot stand him sharing JESUS CHRIST. May all the glory and honor be to our LORD GOD who reigns forever more. 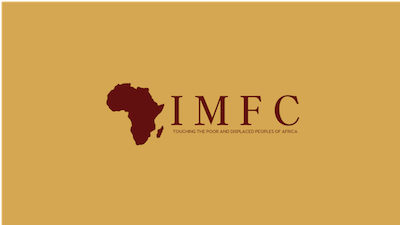 Xavier Mpanga leads the IMFC work in Nairobi, Kenya. Nairobi is home to some of the largest slums in the world. Millions of people call these slums home. Hamis Juma is one of these people. Disowned by family, pressured and hated by the Muslim community, Hamis keeps sharing the message of Jesus Christ that changed him! Hamis Juma is a modern day follower of Jesus like the ones of Acts 11:19-24. He is poor. He is not famous. He is not ordained. He has no church building, no religious programing, no stage, no budget. He has little education. But, he has the two most important things: The message of God’s grace in Jesus Christ that changed him and the hand of God on his life. At IMFC we pray for and focus upon raising up an army of people like Hamis that will be able to go and make disciples of Jesus among every tribe and language. Pray for him and pray for the hundreds of disciples just like him across Uganda, Kenya, South Sudan and DR Congo who are moving around sharing the gospel of Christ. Pray that the Lord encourage them, meet their needs and keep them from harm as they run with the message of Christ and make Disciple Makers. Thanks for your prayers and support, and if you would like to come alongside these men and women to help work in their communities and bring encouragement to them and their families, there are many opportunities in 2019. I world love to see you there. Have a great day. Vincent sent me the story of Sofia. It lifted my heart. In a world of bad news, good news is welcome. Here is her story. I think it will lift your heart as it did mine. See, God isn’t dead. Satan isn’t winning. Good things are happening. Nanyanzi Sofia is a former Manna recipient from Katanga. She was in the program from February through July 2018. She is a single mother, 30 years old and has 4 children. She was married to a Muslim man who was a taxi driver, but he left her alone with the children. When we found her she had nothing and was hopeless. A neighbor pointed her to us as one who needed help. She didn’t believe we would really help her until she saw us coming with the bags of food. Sofia heard the Gospel that was shared with her and was born again. She was the only one who gave her life to Jesus Christ on that day. I remember her telling me that this is my day. I thought she was joking about being a Muslim and confessing Christ in public while others were watching her, but she was serious. She told me she was tired of all the lies she received from religions. She was baptized 3 months after being saved and now has a house church that meets at her place on Monday’s. Sofia loves to share the message that changed her with others, and she has led many to Jesus Christ. Her life has changed and she is happy and grateful for the food and the message of Jesus Christ. Through the Manna program Sofia listened to our teaching on saving money and starting a small business. She saved 72,000 shillings, and she started a small business selling African pancakes and other eatables. She sells in Makerere University, Mulago Hospital and the local YMCA. 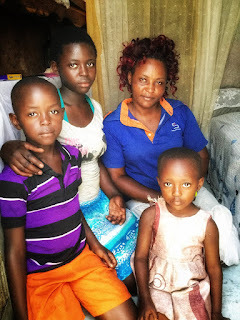 Her business is growing and today she has 366,000 shillings which she is using as capital. You see Sofia has a dream. She has bought a piece of land that she wants to build upon. She is working hard and is challenging other women to work hard as well and teaches them to be proactive and to not just sit around waiting for their husbands to act when your children go hungry and there are needs. She has encouraged not just me but also all the IMFC staff. I want to thank everyone who gives to these people in the Manna Ministry. You are making a difference. I have changed. I am not the man I was 14 years ago when I went to work with International Missionaries for Christ. Regardless what people may say, old men can learn new things that change them. I am a testimony to that. Here are five simple truths that have changed my thinking, my outlook on life and my behavior. I have learned that the kingdom of God is bigger, much bigger, than me and my church. I am important. My church is important. The community I live in is important and God cares for it very, very much, but I am only one and the community I live in is only one small area in a great big world that God cares for and Jesus died for. If things are going poorly for me or my church in my community, it doesn’t mean the Kingdom of God is failing. His Kingdom is NOT centered on or around me. His Kingdom is growing. His workers are scattered throughout communities everywhere in this great big world and they are sharing His message and extending His Kingdom. I am just one among many in His great Kingdom, but I am one and I am so grateful and humbled to be a small part of what He is doing. I have learned that followers of Jesus Christ in poor, underdeveloped nations are not inferior in any way to me. They have a walk with Christ that is rich and their experiences with the Lord are oftentimes deeper than mine. I am humbled to have prayed, walked and shared the Gospel with men and women of other colors, languages, and ethnicities who live in small mud homes with no electricity or running water. They have few clothes, little money and no health care, but they love the Lord and follow Him completely with great love and faith. I know I am not worthy to be a part of the Lord’s work among them but I am a blessed to be a part. I have learned that the Lord can use me in the work of His Kingdom far beyond what I ever thought possible. To think that I am a part of a movement of God reaching into Uganda, Kenya, DR Congo and Southern Sudan involving hundreds of thousands of people coming to Christ and sharing His message with others, is crazy. But it is happening. I’m not that smart. I’m not that talented. I’m not that gifted with money. And, I am NOT so spiritual that Lord had to include me; but the Lord has included me and used me to influence more people than I could have ever imagined. God’s grace is truly amazing and I am what I am and do what I do by His grace. I have learned that true worship is not solely how loud I sing in a room with other believers on Sunday mornings but how I give myself into the Lord’s hands to help the people He loves and died for who are trapped physically and spiritually in poverty, disease, sickness and sin. Loving the people Jesus loves and giving myself to help them IS actively loving the Lord and worshipping Him. This has become my greatest act of worship. This is the song of worship I sing and I am humbled that the Lord has allowed me to worship Him by walking with the “least of these”, praying with them and helping them. I have learned that I am rich, and I have learned how to be grateful for all God blessings. I’m not rich like Bill Gates or Warren Buffet, but I am wealthy. I have never lived in a mud hut six months behind on rent waiting to be thrown out on the streets. I have never gone to bed without a meal that I could have eaten sometime during the day. I have never gone to bed night after night to the stinging bites of bed bugs with no way of eliminating the problem. I have never shared six toilets with more than 100,000 people. I have never been placed in the hot equatorial sun to lay in hopes that it will heal my sickness because I don’t have the money to go to the doctor or buy medicine. I have never seen my children suffering from lack of food and tattered clothing with no way to help. Why? Because I am rich and I live in a nation of plenty. I now know just how rich I am and I am grateful. These are lessons learned. Lord, thank you for getting me out of comfort zone in my living room to travel to different places (especially Africa) to learn these simple truths that I should have known. Thank you. Recently I was asked in an email about two very important and highly successful ministries of the IMFC. Below is the entire email, and my answers are in italicized bold. First of all thank you so much for taking the time to answer my questions. I appreciate this opportunity. As I said earlier, I have been asked to talk to the ladies at our church about the mama kits and the reusable sanitary pads. 1.) How much do the kits cost (U.S. and Shillings)? $7 US or currently 26,152 Ugandan shillings per kit. 2.) What do the kits contain? Each mama kit contains plastic sheeting, razor blades, cotton wool, gauze pad, soap, surgical gloves, exam gloves, cord ties, and a child health card. Each kit also includes an instruction sheet in both English and Luganda. All of the supplies are sealed so that they remain sterile until needed. Birthing a baby is way beyond my limited abilities to understand, but I have been assured by those I trust that seem to know what they are doing that everything one needs for a healthy normal birth is included in the kit. 3.) If possible, where could I order one to show the ladies? I’m not sure if you can get one in the US, Jimmy may have one - I don’t, but here is an email address you might use to find one info@mercyformamas.com. 4.) How is it determined who will receive the kits? Our guys who are working in the slums see a pregnant lady as they walk and share and inquires if she needs one. All of the ladies need them - very few of them are prepared to give birth. 5.) When will the women receive the kits? The sterile packages do have an expiration date, I don’t know why. And we have learned from experience that providing them too early is not really a good idea, so we aim at giving them to the ladies beginning in the later part of month 7. As you can imagine when we are distributing them 9 month ladies receive their’s first, then 8, finally we end with month 7. Earlier months are given our phone number in order to call when they are ready. No lady is turned down for one though. That would be morally reprehensible. Quite often the guys will have to take down names and return with one or two later, because always more ladies show up to the distribution point than they counted when they were doing their preparation and planning. 6.) How much is the boda [motorcycle taxi] ride to the hospital (U.S. and Shillings)? This is not standard at all. It all depends upon where they are in relation to the clinic, doctor’s office or hospital. I’ve heard it ranges from 3,000 to 10,000 shillings and occasionally even more. ($1 - $5US). We do not provide hospital boda-ride fares, because rarely would the money be used for hospital boda-rides, but we do teach them how to save for the inevitable when we distribute the kits and encourage them strongly to do so. 7.) Approximately, how many women will use the kits at the hospital, and how many will use the kit at home in the slums? Wow, this is something we have never even considered tracking. It would be interesting to know though. 8.) How many kits are given out in a month, and what are the costs involved with that? We budget for 100, but often the demand exceeds that to around 150. The last few months we’ve seen the need jump to 200, and God has continued to provide over and above the budgeted amount. Our desire is to always do more, and now we see the need to introduce them to Kenya, because poor displaced pregnant women are not limited to just the Ugandan slums. The need is there as well. So to answer the cost part of the question, we currently budget $700 monthly for the kits. In actuality the kits often cost the IMFC around $1,050, and for the last few months it has cost about $1400 US. 9.) Approximately, how many lives are saved because of these kits (mothers and infants)? This is something else that we have never even considered tracking, and I’m not sure we could do it with any accuracy at all. Though we do hear almost daily how much this $7 investment means to someone. We are always being introduced to “our” babies as we walk the streets. This mama kit program is one of the first tactics we use when entering an area for the first time. This is a simple ministry that paves the way for the Gospel to be shared openly and easily. It ‘softens’ up the targeted area. It is also going to be our third ministry introduced into Kenya as the resources become available. The first is discipleship of course, and it is going strong. The second ministry to be introduced is all about your next set of questions. Kenya is learning right now how to do the following training and making plans to incorporate it into what we already do in the slums in Nairobi. 1.) How much does it cost to do a workshop? I love this ministry because it is the cheapest thing we do with the greatest physical impact. The potential here is for making life better for 1/2 the total population. Yes, I know that you now think I’m a heartless, shallow and callous man, but it is part of my job to consider these sorts of things. Each workshop - we call them ‘trainings’ - cost approximately $33 US or 120,000 Ugandan shillings. 2.) How often are the workshops done? Currently we do 2 - 3 per month, as the guys on the ground request them. Very soon we hope to be doing the “trainings” in Kenya as resources come available. The Kenyan team is learning this as this email is being answered. We have begun limiting the size of our trainings to 20 attenders, and requesting and encouraging those that attend to train five more. This limit is much easier for us to be prepared and to handle the trainings effectively. 3.) What materials are used to make the pads? The materials can all be found locally and are very affordable and include absorbent fabric, comfortable fabric, buttons, and string. The tools used are: paper patterns, scissors, and needles. Easy peasy and very effective! 4.) Approximately, what percentage of girls will quit school for lack of sanitary pads? I am not sure we would know how to track this statistic, but there are many, many. 5.) What items will women use if they don't have access to the reusable pads? Rags, tee-shirts, nothing - many will simply hide behind closed doors. 6.) After the workshop, what supplies do the women get to keep? They get to keep their craft of course; they go home with a pattern and the needles. We collect the scissors, but each time 3- 5 disappear. Children generally use the leftover fabric scraps for toys, headbands, etc. 7.) How accessible/affordable are the materials that are used to make the pads? Very! This is why we teach how to make them instead of relying upon mission teams, individuals, or churches to provide them. Though, we are considering collecting them from groups for women who are in prisons and do not have access to materials or tools in order to make them. We are only considering this at this time because before distribution can begin there are challenges to overcome, such as: collection, storage and distribution. Every solution always comes at a greater cost and has to be carefully considered or it may affect negatively other ministries. An unintended blessing from this ministry that was never considered before it began is that often women who have participated begin making them and selling them as a steady source of personal income. It’s a win-win. 8.) Approximately, how much does it take each month to put on workshops? I think that covers all the questions I had. I hope I haven't asked too many questions. I'm just super excited that God has given me the privilege to do something like this with our ladies. On a personal note, I have another question. How did you know God was calling you to some kind of service to Him? I love this question! I get asked this frequently - actually almost every time I stand and speak in a crowd someone gets me to the side out of earshot of everyone in order to ask it. I completely understand their need for secrecy, because until you announce your call there is no one holding you accountable and it might be easier to let the call slide, and you will have not lost “face.” You see, I went through this very thing myself. My answer to your question is always the same, and it is a question itself: I ask, “How can someone who reads their Bible, listens to Christian music, attends Sunday School, listens to sermons, and prays regularly NOT KNOW THEY ARE CALLED TO SERVE?” You see sometimes God shouts to get our attention but not very often. Usually it is a still small voice that stirs deep inside our souls calling us to go, give and serve more. We as humans are pretty good at ignoring His voice, or even thinking it’s something else entirely. Often we are glued to inaction because we are uncertain or unsure of His “call”. I think most often it’s not necessarily a disobedient kind of thing that causes inaction, but rather a complete misunderstanding of the definition of the word - “called”. I think people have thought a call is a scary, mystical kind of something that is accompanied by a choir of angels or maybe Gabriel blowing his trumpet. A call though is really nothing more than a incessant tug upon your heart and soul guiding you somewhere to do something. This I can assure you, if you have a sense of a call inside you it is most definitely not of of the evil one. Satan would prefer you to sit quietly and diligently in your pew doing nothing or at least a very minimum to impact the world for Christ and for the good of others just like so many others who have ignored that still small voice. I have met you, and we have walked together, and I know this for a fact - you will never feel complete sitting on the sidelines. You were meant to be in the game. You my dear friend are a soldier. People often believe they have to see, hear and participate in signs and wonders to know exactly if beginning this mission or serving in that place or church is the will of God. In my experience the will of God is whatever door is open at that time. Just walk through it with boldness. Go where He leads. I can't explain it, but ever since I have gotten back from Africa I have had this restless feeling. I would love to be able to explain it, but I can't. You just did! Hopefully, you understand, and yes I most certainly do. I'm not sure what God might be calling me to do, but I really believe after months of prayer and searching that He is calling. Africa will forever be in my heart, and I am looking forward to returning with Mt. Zion in January 2019. Very soon, in fact this week I’m rolling out a new partnership plan for the vision of the IMFC. I believe it’s time that individuals, groups and churches become full partners in the Acts 11 vision of making disciples who produce disciples - worldwide. Thank you SO much for your time! It means a lot to me. I look forward to hearing from you. No, thank you! I look forward to seeing, hearing and reading what God does through you. Sharing God's word continues in Mombasa as well. Thanks Brother Samson Manoah for being an example of Jesus Christ's disciple who is touching the poor and displaced people of Africa for Jesus Christ. Indeed, we are very proud of you and your teams involved in this noble cause of extending salvation to thousands of people at the Coastal region of Kenya and hundreds of House Churches planted there as a place of learning, sharing and worship God. May the Lord continue using and bless you more abundantly for his glory. 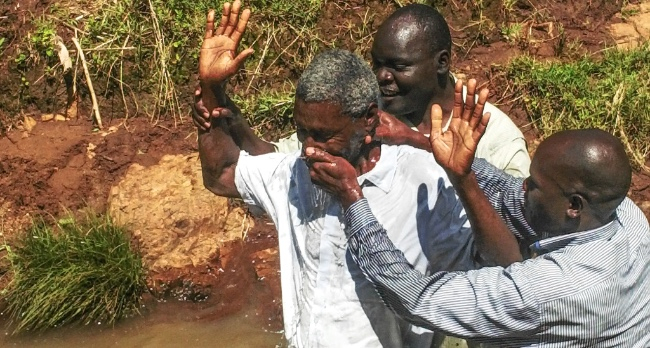 We believe that through this mission our poor and displaced people of Kenya and other parts of the world will be saved both spiritually and physically for Jesus Christ through International Missionaries For Christ. He began by telling me that he had not lived a good life nor had it been an easy one. He had lived rough, but his mother who had passed years ago would pray for him daily while she still breathed. He told me how his wife had died three years ago, and how his daughter has a serious handicap. He told me how he so needed a job to care for her. I smiled when he told me that he had decided earlier this year that this would be the year he would give his life to Christ. He then told me that just that morning he had found a job, and next week he begins this new life as security at a place I did not recognize. He didn’t believe me. I mean he didn’t think I was lying, but rather he thought, “Steve must be mistaken.” You see what I had described to him was a movement of God - of Biblical proportions. “Yes,’ he thought, ‘Steve sees something, but it can’t be what he’s talking about.” Today, Chris Meaders, the mission’s pastor of Mt. Airy Baptist Church now believes, because he and his team from Mt. Airy participated in this movement. They saw it, they felt it, (honestly, no one quite understands it, but that’s ok), and now people will not believe them either when they try to articulate it. So don’t believe us, just come and see it. Come feel it and participate in this movement of God before it passes you by. Contact me or Jimmy for more information. Our 2019 schedule is already filling up with people who return year after year after year. You see they believe it also, because they have participated in it as well. 1. We create opportunities for people to better themselves, their families, and their community. 2. We make disciples who make disciples. Many on our team will contribute to the stories; please come back often to see how God is working in Africa. © IMFC. Awesome Inc. theme. Powered by Blogger.